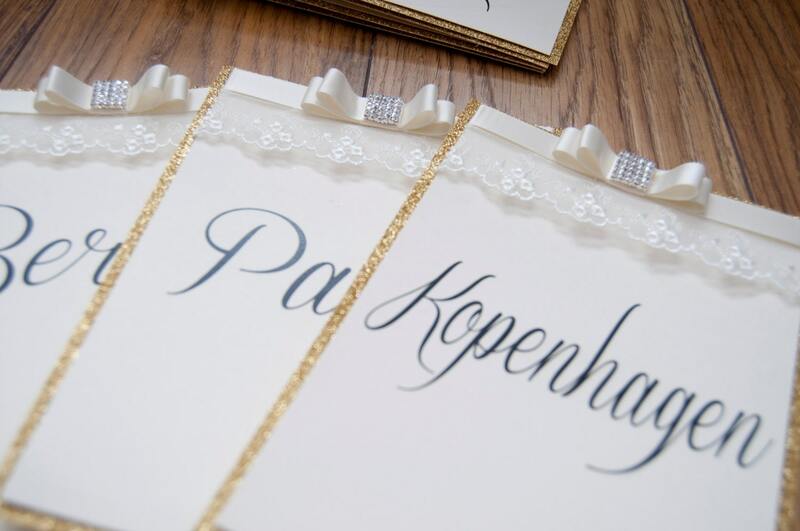 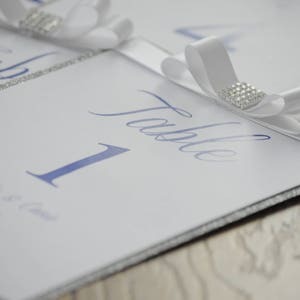 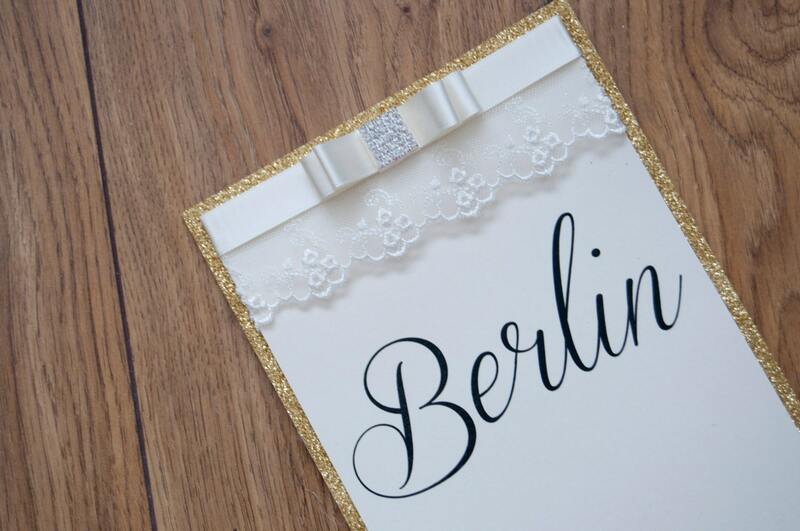 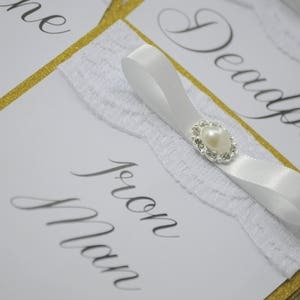 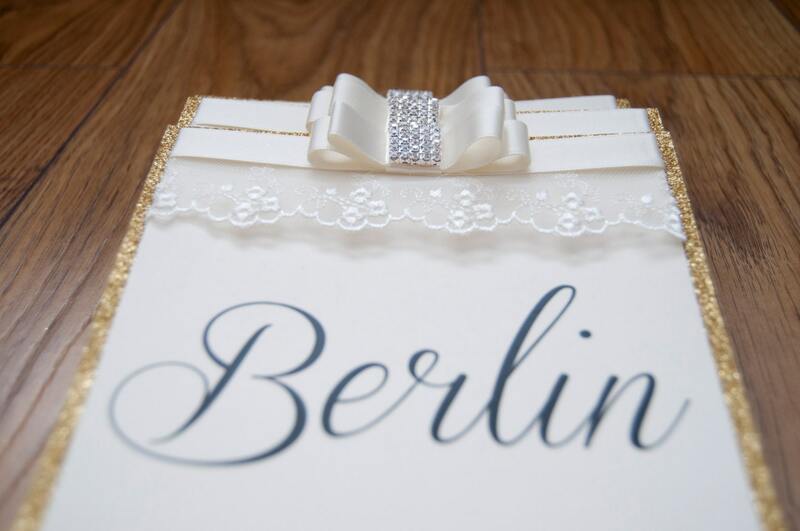 Each handmade table number has a boarder of gold glitter and finished off with a perfect bow and diamond embellishment.It is made with high quality card which comes in ivory or white. 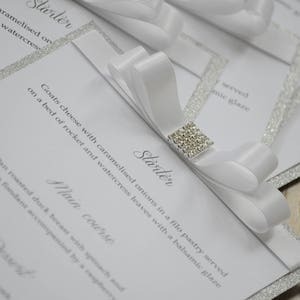 Also available in silver glitter. 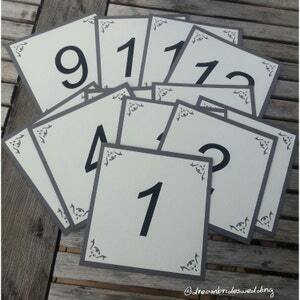 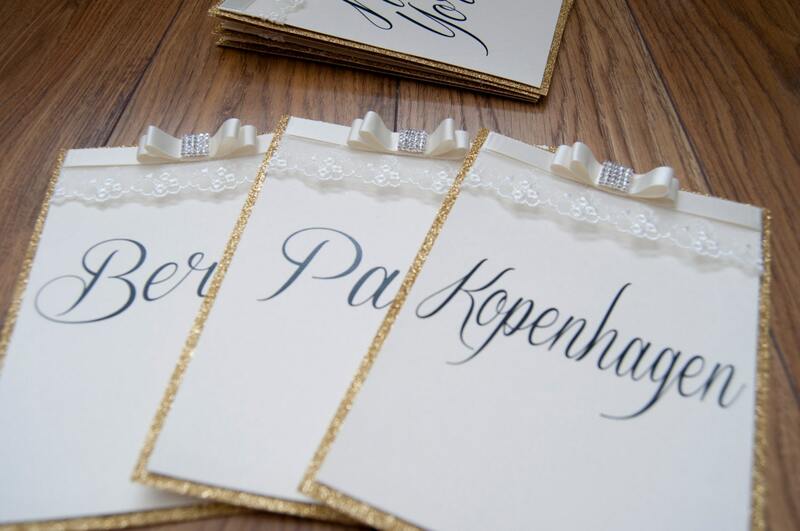 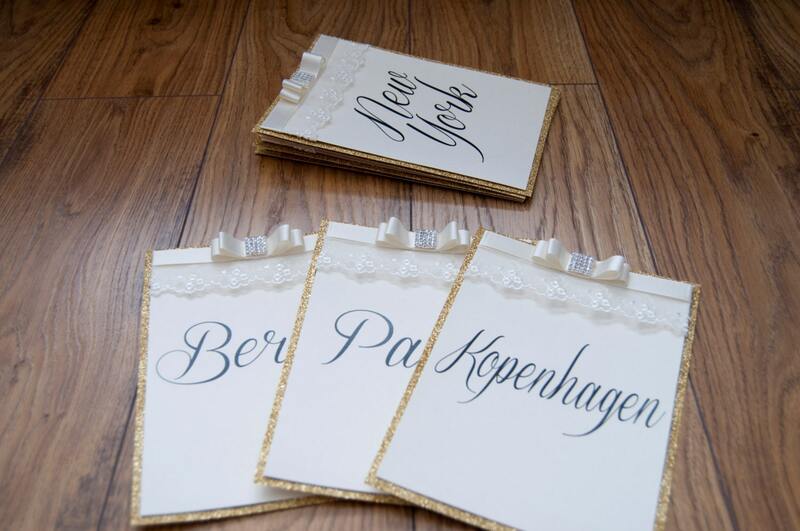 These table names need a stand to slot into and also available as table numbers.